Shares of engineer Jacobs popped when the U.S. president was elected in November. They’ve since faded along with hopes of heavy government spending. The company’s $3 bln combination with water expert CH2M may have some domestic benefits, but Jacobs’ bet looks more global. 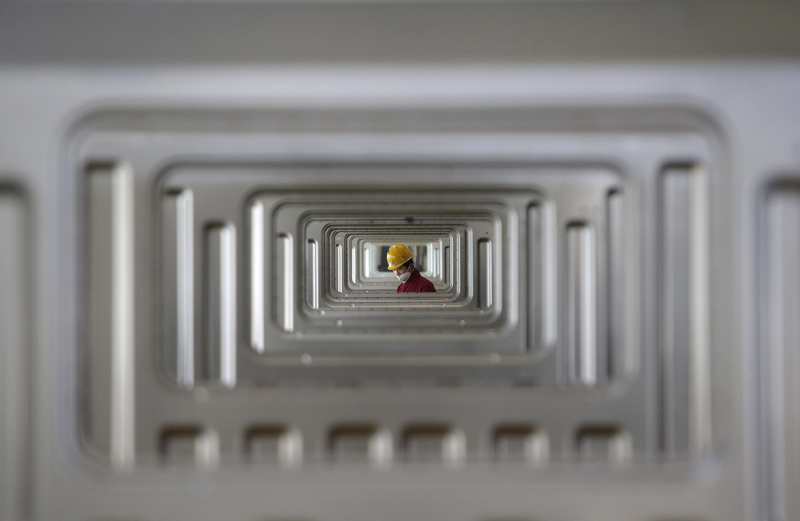 An employee works at a Chinese automobile factory in Hefei, Anhui province, March 15, 2014. U.S. professional-services provider Jacobs Engineering said on Aug. 2 it would buy engineering-services firm CH2M Hill in a cash-and-stock deal valued at about $3.27 billion, including debt. Jacobs said it would be able to save $150 million in costs by the end of the second year, following the expected close of the deal in December 2017. Jacobs has a dominant presence in the petroleum and chemicals sector, besides focusing on aerospace and technology. The Texas-based company also provides development and rehabilitation plans for highways, bridges, airports and railroads, among others. Employee-owned Colorado-based CH2M is a leader in the infrastructure and government-service sectors, including the water, transportation, environmental and nuclear industries. Private-equity firm Apollo Global Management invested $300 million in CH2M in 2015.